With all of the Canada Reads craziness over the past couple months, I knew my time to read anything outside of the 5 short listed titles would be limited. Luckily, my long time friend (I just publicly declared that we're friends, it's official now!) and colleague has come to my rescue. In this powerful and uplifting novel, a mother and her daughter-in-law bravely leave their troubled marriages and face the challenge of starting over. Leaning on each other, Nichole and Leanne discover that their inner strength and capacity for love are greater than they ever imagined. 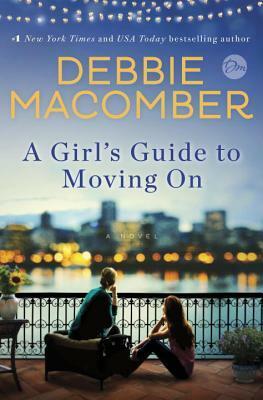 Having read many of Debbie Macomber’s novels in the past, I was pleased to have the opportunity to read “A Girl’s Guide to Moving on” before it was released to the public. While this novel is written a bit differently than her other novels it is just as enjoyable and kept my attention throughout. I really enjoyed the interaction between the two main characters. Nichole and Leanne have both just recently left their cheating husbands. What makes the connection interesting is that Nichole is divorcing Leanne’s son for cheating and getting another woman pregnant. Leanne feels responsible for her son’s actions because she stayed in an unfaithful marriage for 35 years, showing her son that it was okay to behave this way in a marriage. Together; Nichole and Leanne forge new beginnings, friendships and relationships as they continue to deal with the ramifications of their divorces and Ex-husbands. I really connected with Nichole’s character and found her believable and I was able to sympathize with her and the situation she was in. While I enjoyed the interaction and relationship between Nichole and Leanne, I had a harder time empathizing with Leanne and understanding some of the decisions her character was making. I loved following the new relationships these ladies were building and enjoyed how they tentatively accepted new men in their lives! Unlike Debbie Macomber’s other stories, this is a great stand-alone novel that doesn’t require background or additional reading. Overall I would recommend this book to any Debbie Macomber fans or for anyone looking for a light and uplifting read. Disclaimer: A finished copy of A Girl's Guide to Moving On was provided by Penguin Random House Canada for review purposes. All opinions are our own.